The Apple iPad 5 and iPad mini 2 are the center of a lot of attention ahead of tomorrow’s October 22 Apple event where we expect to see them officially introduced. The event will take place in San Francisco, but if you don’t want to miss a thing then we have the 2013 Apple October event time worldwide ahead for the new iPads debut. Media invitations to the Apple event were sent out last week and the action kicks off at the Yerba Buena Center for the Arts, San Francisco tomorrow (Tuesday) at 10am PDT /1pm EDT. One of the focuses of the event is expected to be the new iPads being unveiled, although new MacBooks are also expected. There will be plenty of live blogs for the event, and you may decide you want to follow it as it happens wherever you are in the world. We’ve entered the event time and place into an event time announcer and this shows the equivalent time for major cities across the world. 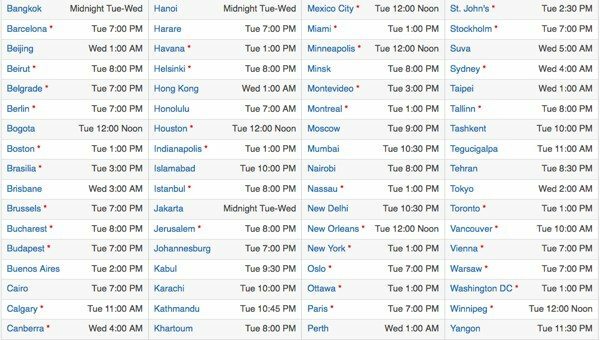 As you can see from the chart the event takes place at 1pm Tuesday in New York, 6pm in London, 10:30pm in New Delhi, 7pm in Johannesburg, 7pm in Paris, 9pm in Moscow, 7pm in Barcelona, and 12 noon in Mexico City. These are just a few examples but you can check your own region on the event time announcer. 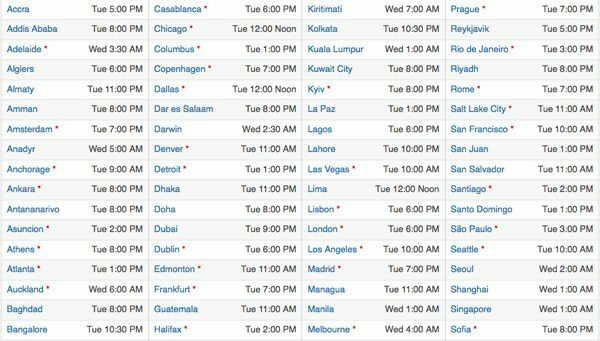 Because of the time difference in some countries the event will be on Wednesday instead. So for example the event will begin at 4am Wednesday in Sydney, 2am in Tokyo, 1am in Beijing, 1am in Hong Kong, 1am in Singapore and 2am in Seoul. At the time of writing we’re not aware that there will be any Apple event live streaming to the public but we’ll let you know if we hear any change on that. While we’re waiting for all of the news from the event tomorrow you might want to check out our recent article where we clarified many of the expected iPad mini 2 and iPad 5 specs and features. We’ll be bringing you all of the iPad news from the Apple event, and hopefully that will include iPad 5 and iPad mini 2 release dates and prices, so please do check back with us for more. Are you waiting to hear about the iPad 5 or mini 2? 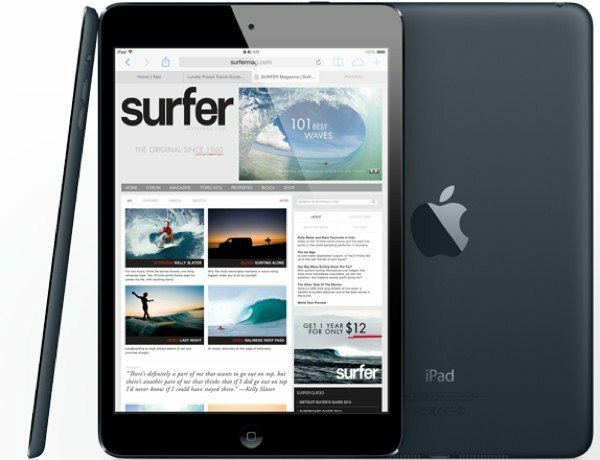 Tell us what you’d like to see announced for the new iPads by sending your comments.